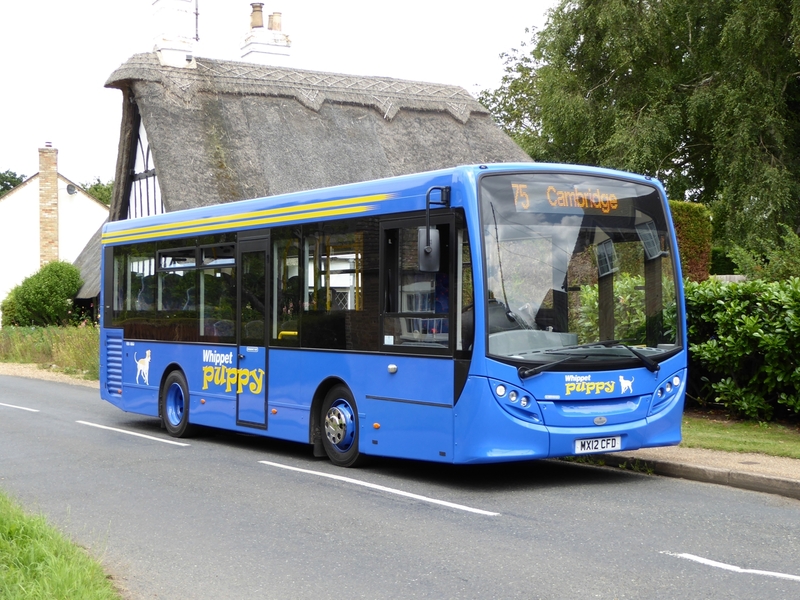 Three Whippet Puppy buses are now settling in at their new home in Swavesey, Cambridgeshire. 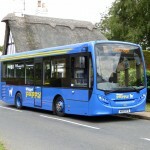 The buses have been acquired by Whippet Coaches from another part of Tower Transit Group, its parent company. 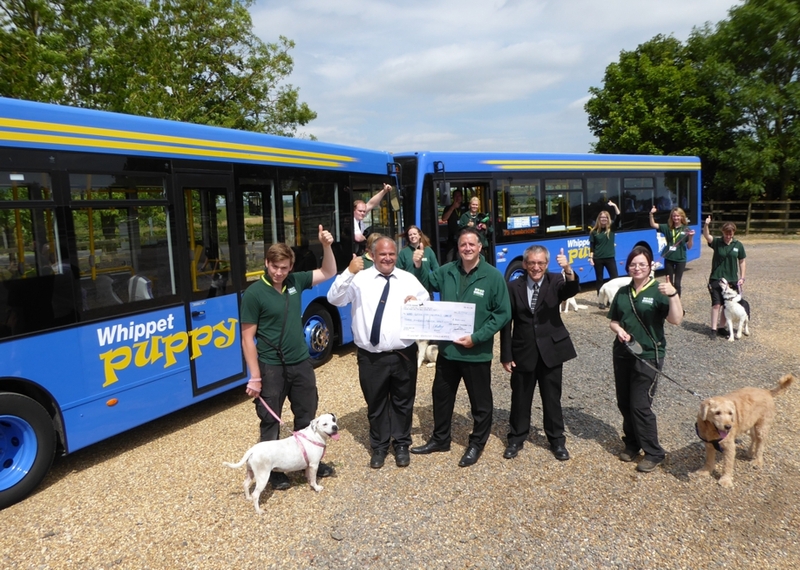 The puppies were officially launched at Wood Green, The Animals Charity in Godmanchester on Thursday 16th July, thanks to the kind assistance of Richard Parris, Corporate Fundraiser. The animal rehoming centre at King’s Bush Farm in Godmanchester is the head office of Wood Green, The Animals Charity. From humble beginnings in 1924 it has grown to become one of the leading animal welfare organisations in the UK with centres throughout Herts, Beds, Cambs and London. Thousands of animals of all shapes and sizes are taken in and rehomed each year, including chickens, rabbits, mice, guinea pigs, rats, ferrets, cats, dogs and of course whippets! 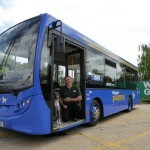 Whippet Coaches was formed five years earlier in 1919. The business made a donation of £300 to help the charity continue their good work. 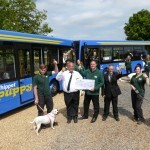 In the group photo at the front are (left to right): Charles Hart (Animal Rehomer) with Blousie the dog, Paul Young (General Manager for Whippet Coaches), Richard Parris (Corporate Fundraiser for Wood Green, The Animals Charity), Paul Nelson (Public Transport Manager at Cambridgeshire County Council) and Paula McBride (Animal Rehomer) with Bailey the dog. 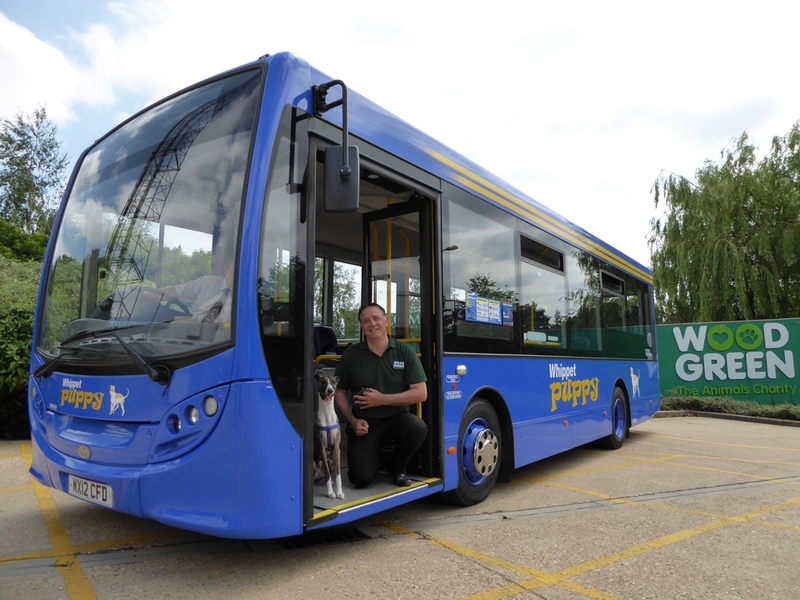 The Whippet on board the bus with RIchard Parris is Luke.